Due to our size, strong relationships can be forged between our staff and pupils, and this allows us to meet the individual needs of each child. 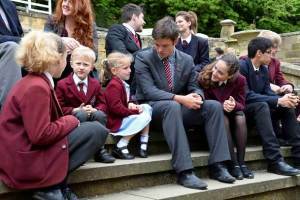 Pupils quickly come to feel part of our community, and this is the key to the family-like atmosphere. Providing guidance, support, advice and a safe environment encourages our pupils to be independent and play an active role in school life. We strive to create a relaxed, yet purposeful learning environment, where everyone can express themselves and fulfil their potential. All pupils are allocated tutor groups where a tutor is assigned to support, monitor and guide, as well to as act as an important link to home. Nurse Searle, our full time on-site nurse, is also available to offer further care and support for our pupils. However much of our pastoral care also happens on a day to day informal basis. Relations between staff and pupils are strong: we engage with, and know the children well and as a result, we are able to recognise when they may need further guidance and support. Our ‘Welcome to Boarding’ booklet should answer any questions you may have about boarding life.